On Copenhagen town square they had a Festival of India, which was great fun to attend. 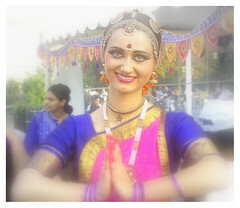 Festival was arranged by the danish Krishna movement and had a program for the whole day incl. free (and very tasty - I might add...) vegetarian food for people passing by.